The old village of Deia is located between Soller and Valldemossa on the north west coast of Mallorca. 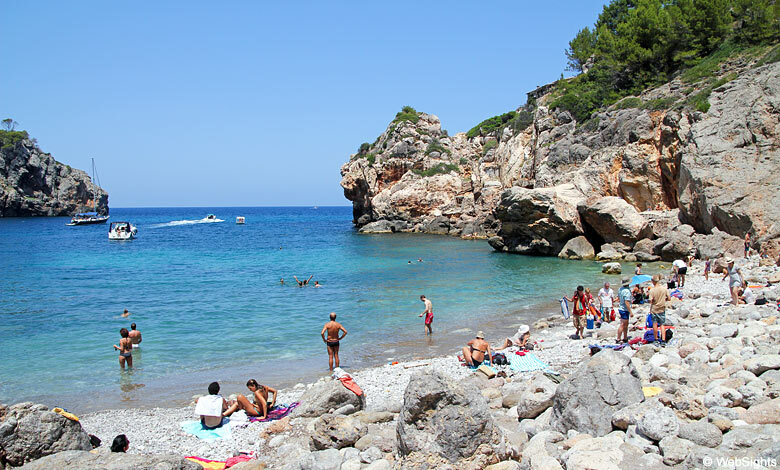 The beach Cala Deia lies close to Deia. 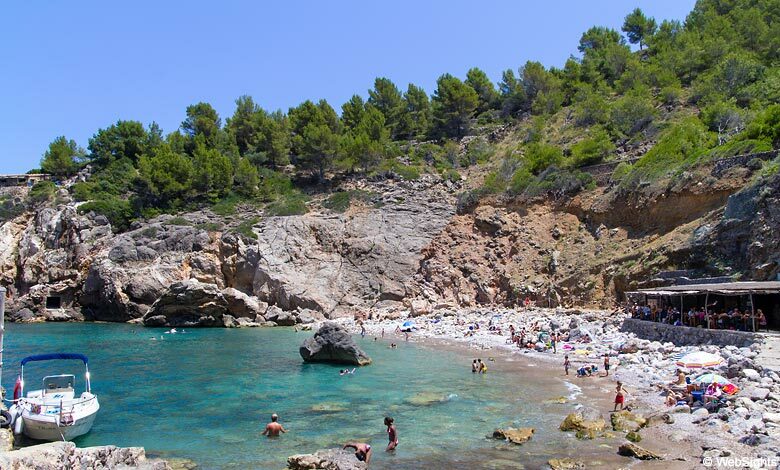 Cala Deia is a beautiful small shingle beach in a very picturesque setting. The beach is some 70 metres long and 6-10 metres wide. Only small parts of the beach is covered by gravel. The rest is covered by pebbles and rocks. The sea is wonderfully clear and very inviting for a swim. However, the slope is quite steep. A path leads around to the Sa Pedrisa watchtower, a defence against pirate attacks in ancient times. 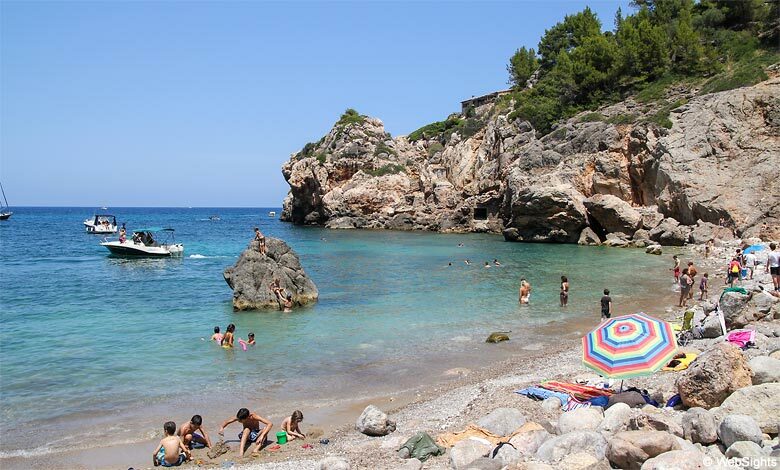 You can walk to Cala Deia from the village of Deia or drive down to the pay parking. No sandy areas for playing and the slope is quite steep, hence not child friendly. The conditions for snokeling are good. The beach has two very good restaurants where you can enjoy e.g. fresh fish dishes and the spectacular surroundings. Deia is a small village on the north-western ridge of Mallorca. The village has many steep alleys to explore and around twenty restaurants and bars. The restaurant Es Raco d’es Teix has a Michelin star and the finest hotel in Deia is La Residencia. The small shingle beach of Cala Deia. 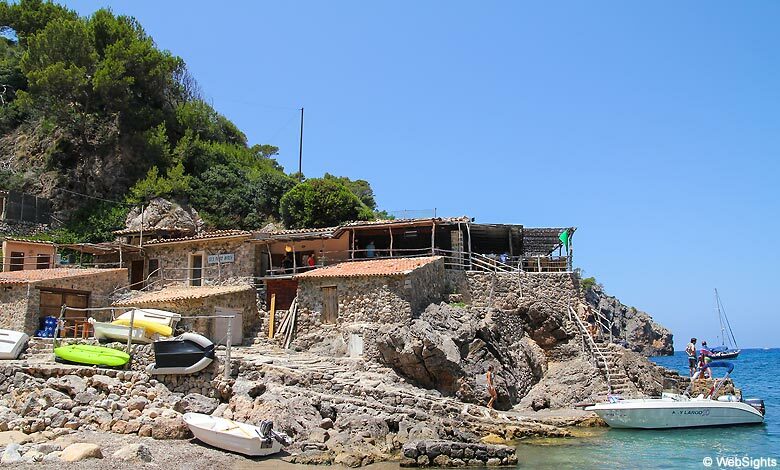 You will find a few fishing huts and several small boats on your way to the beach. The restaurants are situated behind the beach and at the western end of the beach, the building closest to the sea.